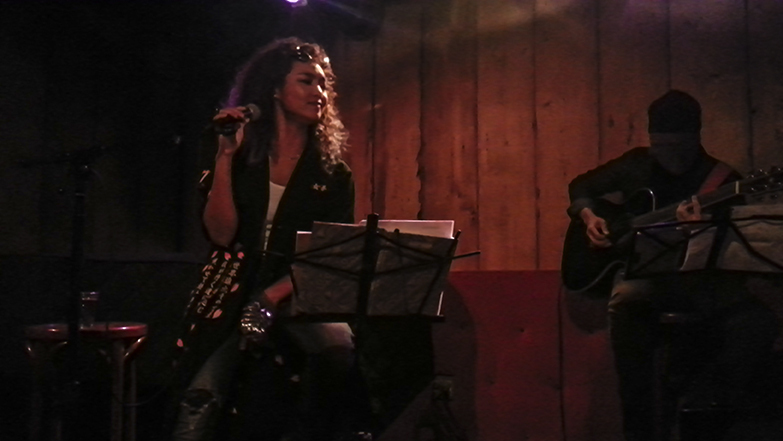 Japanese Concerts-Tours-Tickets North America: [LIVE CONCERT REPORT] Crystal Kay at Rockwood Music Hall in N.Y.C. 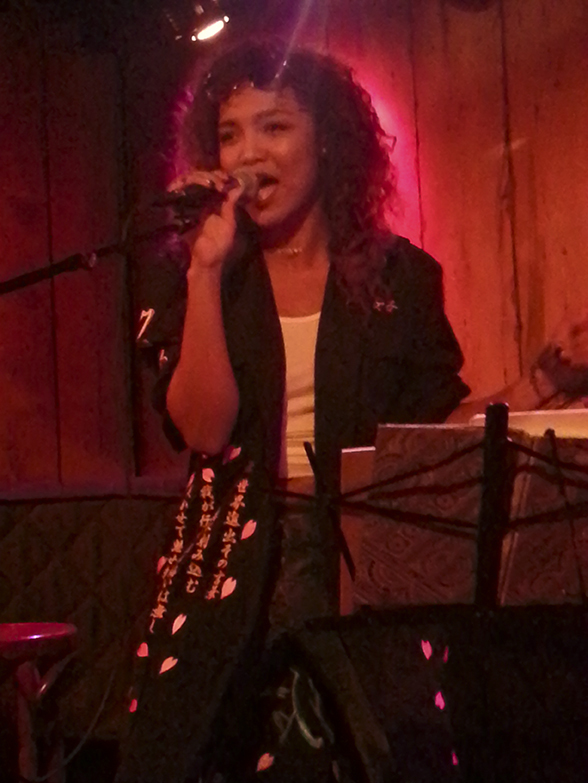 [LIVE CONCERT REPORT] Crystal Kay at Rockwood Music Hall in N.Y.C. J-pop singer Crystal Kay had her first sold out U.S.A. live performance here in New York City on November 18th, 2014. Due to popular demand, she had two shows for her fans that have been waiting patiently for her to perform in the USA. Crystal Kay recently moved to New York City to pursue a singing career in America after being a successful artist in Japan releasing hit songs such as, “Motherland”, “Hard to Say”, “Koi no Ochitara” and “Kirakuni” to name a few. So far she has released two singles, her first U.S,A, debut single called “Busy Doing Nothing” and “Dum Ditty Dumb”. During the concert, she mentioned that she was both excited and nervous about moving to the U.S.A. because this is her first time living outside Japan. 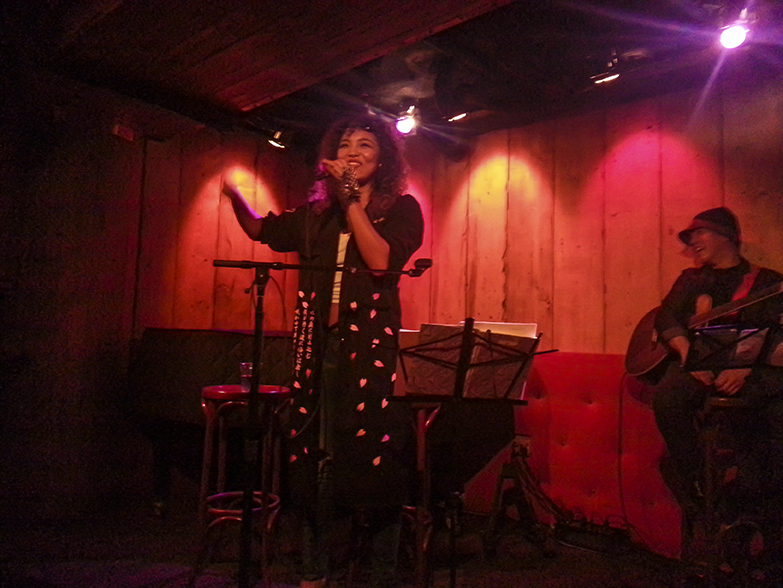 This intimate live performance was held at Rockwood Music Hall where she performed acoustic versions of her Japanese and English songs, including some unreleased tracks and covers by her favorite artists such as Michael Jackson, TLC and Katy Perry. Crystal Kay came to the show sporting her new iconic style that she has coined as ‘Yokohama Ratchet Pop”. Through the night, she was accompanied by musician Jameison Ledonio on the guitar. 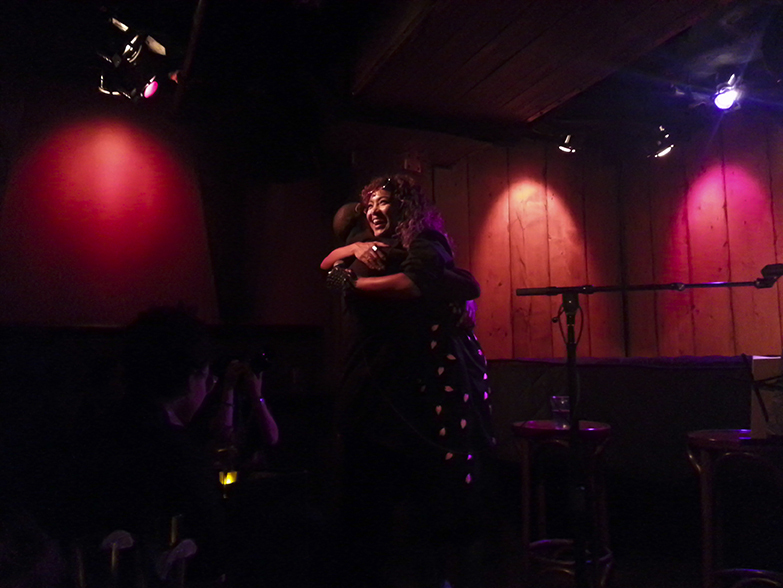 Probably one of the best moments of the night was Crystal’s performance ofMichael Jackson’s “Human Nature”. Before she started the song, she noted that Michael Jackson was one of her biggest influences and that she cried like a baby when she heard about his passing. Her performance of “Hard to Say” was also special because days before the concert, Crystal asked her fans through Facebook and her Instagram account which J-pop song of hers they wanted her to perform and they picked this song. She also spent a lot of time interacting with her fans (such as singing Happy Birthday to a lucky fan) and even taking pictures with everyone that attended after the show. Purchase Crystal Kay Music at i-TUNES and at CDJapan.